We love great architecture and clever design. But we love it even more when the very best practices of residential design are combined with principles of sustainability. Many local Australian councils now support eco house designs and floor plans and encourage eco home builders to utilise the multiple advances in construction technology and materials. This makes it even easier to construct a highly energy efficient house. So how do you build an eco-friendly home? Environmentally-friendly practices can be applied in a multitude of ways when designing and building a home – whether it be reducing waste during the construction, choosing sustainable materials and those with low embodied energy, or orientating your home to take full advantage of passive heating and cooling. Ask any eco home designer and they’ll tell you that a well-designed home has many tools and methods in place to reduce the home’s dependency on coal-powered electricity. 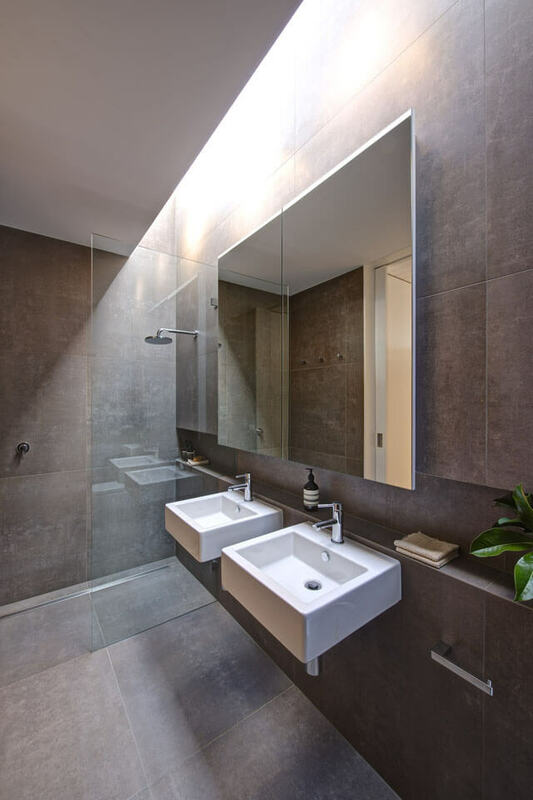 This may mean anything from making use of natural light through skylights or highlight windows, to using energy efficient LED lighting and appliances, alongside WELS rated water fixtures and energy-saving systems for hot water. No matter how green your planning may be, an excessively large home will not have the same energy efficient and eco-friendly footprint, so consider the size of your new home. This doesn’t mean you have to restrict yourself in terms of size. Instead be more thoughtful about the space that is available to you and what you will actually need. It doesn’t necessarily have to be about size just efficient use of space and flexible spaces. Planning your eco house design with your lifestyle in mind is a good start when following the foundations of sustainable design. Passive design refers to a sustainable building standard that utilises local climate and site conditions to maintain a comfortable temperature in the home. Approximately 40% of a household’s entire energy usage is dedicated to heating and cooling; sometimes even more when living in extreme climates. Using passive design principles, this amount can be cut to almost zero. 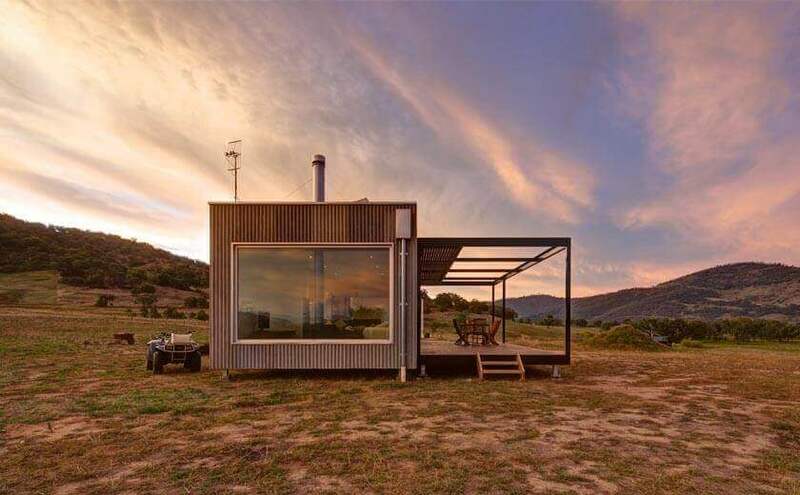 Drawing on principles of passive design and sustainability, Modscape’s modular homes are centred around the natural conditions pertaining to their specific location in order to maximise a home’s efficiency. Careful attention is placed on how a home is situated and orientated on a block. Eco house designs and floor plans allow for a northern aspect where possible, harnessing the power of the sun. Appropriate shading and overhangs are provided minimising sun exposure in summer but allowing for deep winter sun penetration. To keep inside temperatures more stable, you might use elements such as higher thermal insulation, as well as double-glazed or triple-glazed windows. It’s best to utilise natural cross-ventilation where possible and consider controlling high glazed areas with screening. As well as reducing energy usage, you can make your home more eco-friendly by using renewable sources of energy to provide household heating, cooling, ventilation and lighting. Eco-buildings described as ‘carbon zero’, ‘carbon neutral’ or ‘zero emission’ use renewable energy sources to generate the exact amount of energy they need to operate. A carbon positivehouse will actually produce more energy on site than it needs, and will feed this back into the main electrical grid. Solar power – the most widely consumed renewable energy in Australia – boasts a host of benefits for both the environment and for your sustainable home. Eco home builders can pair your solar energy unit with a battery storage system, so you can strive for carbon neutrality while reaping the financial rewards of self-sufficiency. Plus an investment in solar power can immunise your new home against future electricity price rises. See ‘6 benefits of solar power (and how to make the most of it)’. Rainwater can also be collected and used for various uses such as flushing the toilet. For a more sustainable home you might consider constructing it from materials that are recyclable, reconstituted or sustainably sourced. Consider materials (such as aluminium) that may take a large amount of energy to make but can be recycled at the end of their use, time and time again. As an eco home designer, Modscape will design your home to use and reuse materials in the most productive and sustainable way across its entire life cycle. We use healthier products that contain zero formaldehyde, and low VOC paints, adhesives and sealants. If timber is used to clad the home, it is sourced from sustainable plantation forests. Eco-friendly modular homes like those built in Modscape’s factory are carefully planned and pre-assembled, making waste management an exact science. With precise measurements for materials, less travel to and from job sites, and less onsite noise, rubbish and dust, modular homes are kind to the environment from the outset. Low-e glass has a microscopically thin, transparent coating that absorbs solar radiation and reflects it back outside. Low-e glass can reduce the amount of heat that is conducted through the glass by around 30% (when compared to ordinary glass). Furthermore low-e glass reduces glare and prevents damage to interior furnishings caused by ultra-violet rays. You can may also consider adding a thermal break to your aluminium window and door frames to reduce the heat conducted through the frames themselves. Low flow toilets utilise a lot less water than full flush toilets. A small toilet upgrade can help you save up to 50,000 litres of water each year. Tankless water heaters give you all the hot water you need while also reducing the amount of energy needed to heat your water. With these continuous flow water heaters, the water is heated only when you need it, saving up to 20% on energy costs. Ceiling fans not only provide a more sustainable cooling option than air conditioners, but during winter they can be used to push down hot air gathering near the ceilings, reducing the need for electric heaters to keep you warm. Geothermal heat pumps are environmentally friendly and incredibly energy efficient, as they deliver an all-in-one system that can provide you with heating, air conditioning, hot water, and even dehumidifying functions. They work by extracting heat directly from the ground during cold months – and in the hotter months, they transfer the heat from your home back into the ground. Experts claim that geothermal heat pumps can provide three units of heat for every unit required to power them. The best system is very much dependent on the climate and soil conditions. Modscape are specialist eco home builders and we’d love to chat about your eco house design plans, so please feel free to contact us.